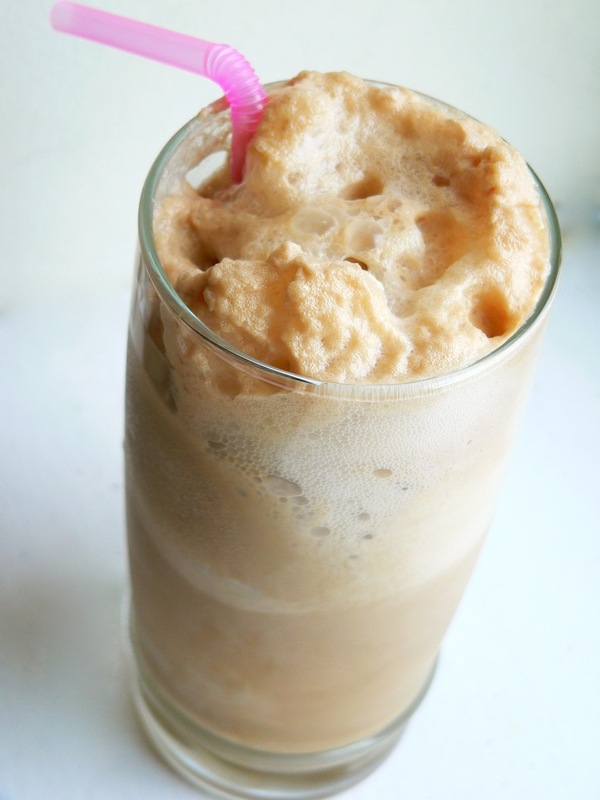 That's right, root beer ice cream in vanilla cream soda. Eat the ice cream by itself and it tastes just like a traditional root beer float in creamy frozen form. Add a couple scoops to a glass and pour some cream soda over it, and you've got your favorite childhood treat—only this one plays mind games on you. The flavor flip never ceases to confuse your taste buds, up until the very last slurp. I'm over peaches. Apricots are where it's at. This is a very simple recipe that will easily impress. It's the perfect light finish to a summer meal or snack to savor in the mid-afternoon heat. 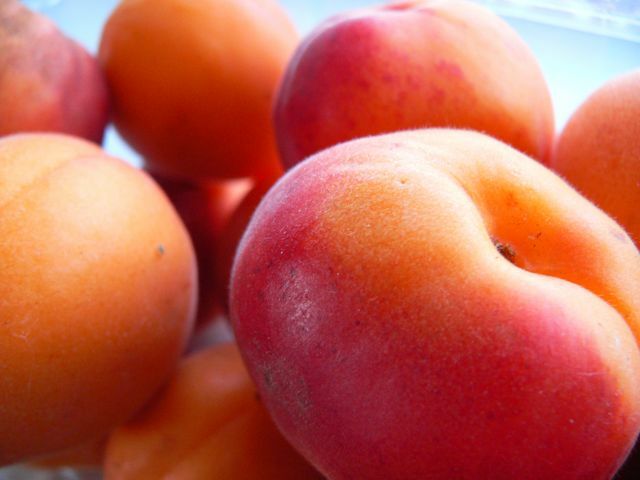 The apricots give it a tangy sweetness, and the Champagne brings an extra zing and an incredibly soft, airy texture. People are always asking me about vegan ice cream recipes or lactose-free ice cream recipes. I am neither vegan nor lactose-intolerant, but I can appreciate how hard it must be to find decent recipes. So, I've compiled 12 frozen fixes with no dairy, eggs, or animal parts. Enjoy! Scroll over the photos to see the flavors. 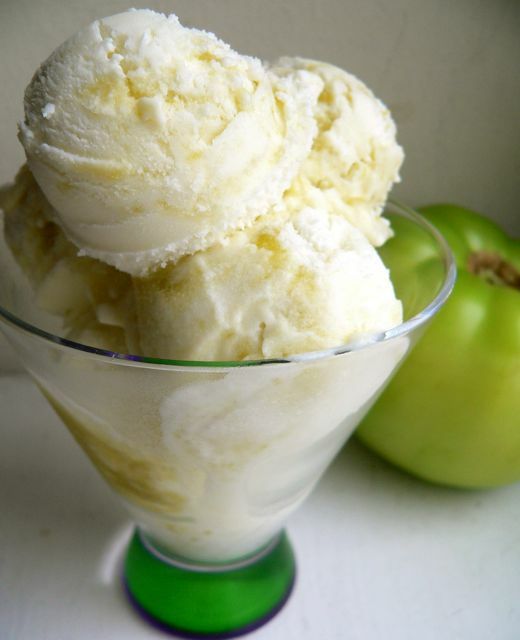 Last year, I submitted a green tomato ginger ice cream recipe to the Washington Post's tomato recipe contest. It didn't win, but it did get a shout-out here and here. Inevitably, it's a boring recipe that wins. (Last year, it was a tomato stack salad.) Convinced that I could make a tomato ice cream that was just as delicious as it was creative, I came up with this: green tomato marbled goat cheese ice cream. 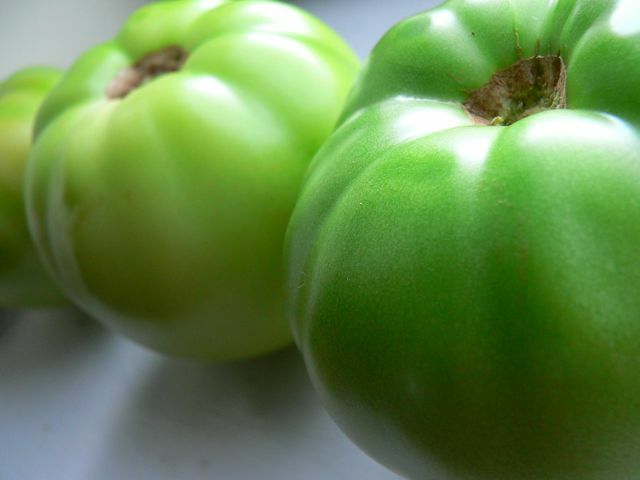 It's a play on fried green tomatoes with goat cheese. The sweet and cream goat cheese base is contrasted by a slightly tangy swirl of green tomato jelly. It is in fact delicious, but again, it didn't quite make the cut. In today's Post Food Editor Bonnie Benwick writes: "Attempts at ice cream have come close; keep trying, and we'll keep testing them." Time to start plotting for next year. 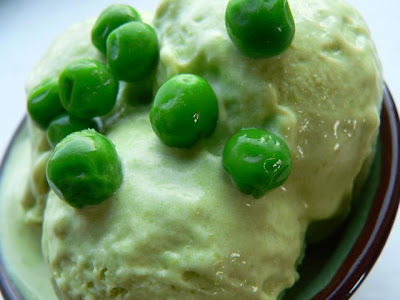 I came across a green pea ice cream on a recent trip to New York, the Holy Land of bizarre ice cream flavors. I immediately thought it was a brilliant idea, because peas are already naturally sweet. 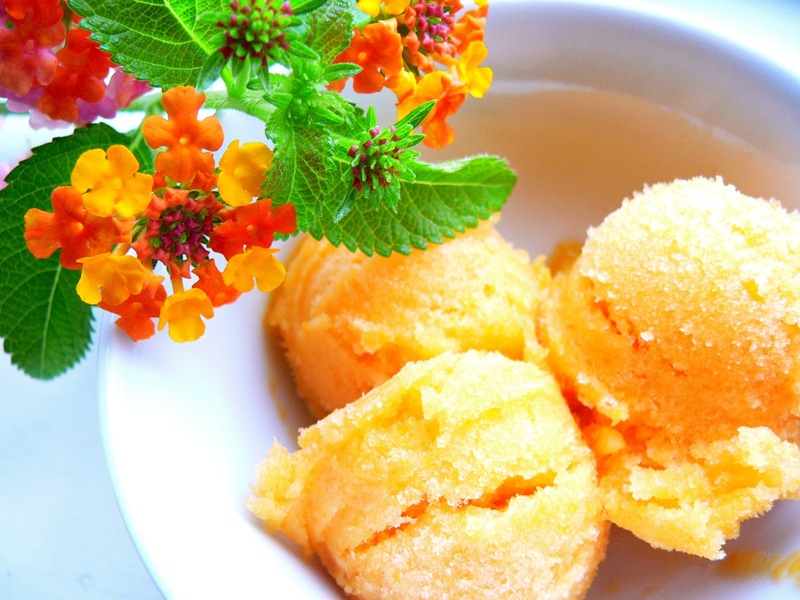 (I once made a corn ice cream that was fantastic.) Also, I can't think of a better way to trick kids into eating their veggies. Or adults, for that matter. 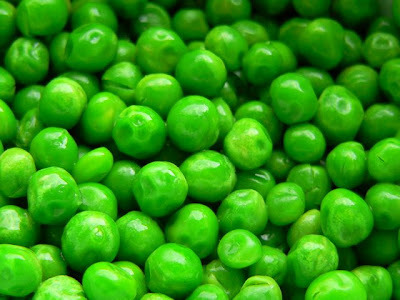 Full disclosure: This ice cream still tastes like peas.